It is easy to write inspiring words to define an organisation’s mission – it is much harder to put those principals in to practice. At the core of MSF’s identity is a commitment to independence, neutrality and impartiality. These ideals have driven every aspect of our work – from medical care and logistics to finance and communications – since MSF was established in 1971. Our commitment to these principals, and the impact of the organisation built on them, was recognised in 1999 when MSF was awarded the Nobel Peace Prize. We provide free medical care to people who need it. It doesn’t matter which country they are from, which religion they belong to, or what their political affiliations are. All that matters is they are human beings in need. In a conflict situation, we don’t take sides, but go where people’s medical needs are greatest. In the ward of one MSF field hospital, you might find wounded civilians alongside injured soldiers from opposing sides. Hostilities and weapons have to be left at the gate. We rarely take funds from governments, businesses or institutions for our work, but rely mainly on the generosity of individual members of the public. Over 90 percent of our income comes from private donors giving small amounts. "For MSF, this is the humanitarian act: to seek to relieve suffering, to seek to restore autonomy, to witness to the truth of injustice, and to insist on political responsibility..."
This means that when there is an emergency, we don’t need to wait for official funds to be released or for the media to generate interest; we can act fast to save people’s lives based on need alone. Our financial independence also means the aid we provide cannot be used to further any government’s political or military goals. Wherever we are working, we make sure that local people understand that MSF is politically neutral and will provide assistance to anyone who needs it. We run radio campaigns and hold meetings with everyone from government ministers to local warlords, community elders to women’s groups. MSF is an outspoken organisation – we expect and demand high standards from ourselves and other organisations. We speak out if we think other humanitarian organisations are being dishonest, compromised or slow to react. But we also examine and critique our own performance. In 2015 we published Where is Everyone?, a hard-hitting report which diagnoses some of the key issues inherent in the international response to humanitarian crises. In 2012 we published Humanitarian Negotiations Revealed. This book examines the reality of the compromises MSF made – some successfully and some less so – to try and help the people suffering most in the world today. Case studies from recent conflicts such as Yemen, Sri Lanka and Afghanistan lay bare the reality of MSF’s efforts to reach the most affected people, and explore just what the limits of compromise should be. There are also essays exploring broader issues, such as the real usefulness of aid responses to natural disasters. 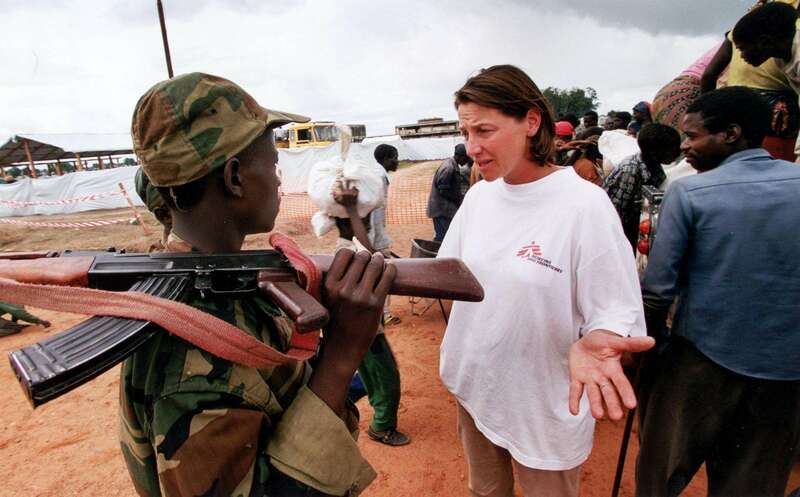 In 1999 MSF was awarded the Nobel Peace Prize in recognition of its pioneering humanitarian work around the world.